I love red and dots! If you want to see more Monday Moodboards go to Star of the East blog. 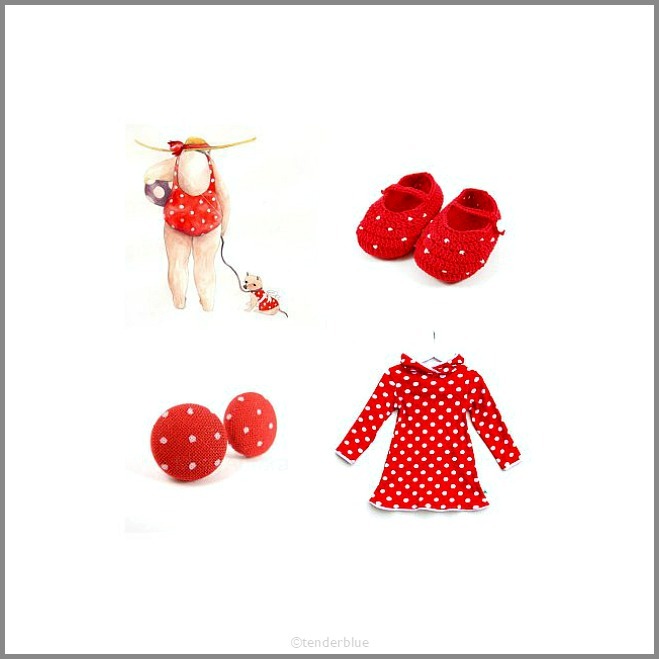 Fabulous red polka dot finds! So lovely red spotted selection! susan, i love your selection and i love polka dots! Classic and never out of fashion - polkadots. Love them. An happy week for you! I love reds ,too!The dress is adorable! Lovely and happy dotted mood! I love your polka dots! They are so fun! Susana, this is really great! We admire your taste!